Jennifer Quinn-Barabanov is a skilled commercial litigator and recognized leader on class certification issues who has successfully defended companies in the technology, consumer products, energy, and other industries. She is recognized for achieving several noteworthy rulings throughout the country and spearheaded one of the first efforts to exclude expert testimony at the class certification stage that led to a denial of class certification. Jennifer often serves as national coordinating counsel for companies that face dozens or even thousands of similar lawsuits related to a product or alleged chemical exposure. In this role, she has formulated and implemented global strategies for achieving an effective, coordinated, and successful defense, including through the federal multidistrict litigation process, when appropriate. In the toxic tort area, Jennifer has defeated claims involving alleged groundwater, air, and soil contamination. In addition, Jennifer has substantial experience handling high-stakes commercial disputes in areas such as: breach of contract, business torts, fiduciary duty and derivative claims, executive compensation, covenants not to compete, trade secrets, retaliation, whistleblower claims, dealer agreements, alleged fraud, and claims under the federal securities laws and Racketeer Influenced and Corrupt Organizations (RICO) Act. She has particular experience resolving commercial disputes in areas subject to extensive state or federal regulation. Jennifer chairs Steptoe’s Class Action practice, which includes dozens of lawyers across the firm’s US offices. She is a regular contributor to Steptoe’s Cyberlaw Podcast on class action matters impacting the technology industry. 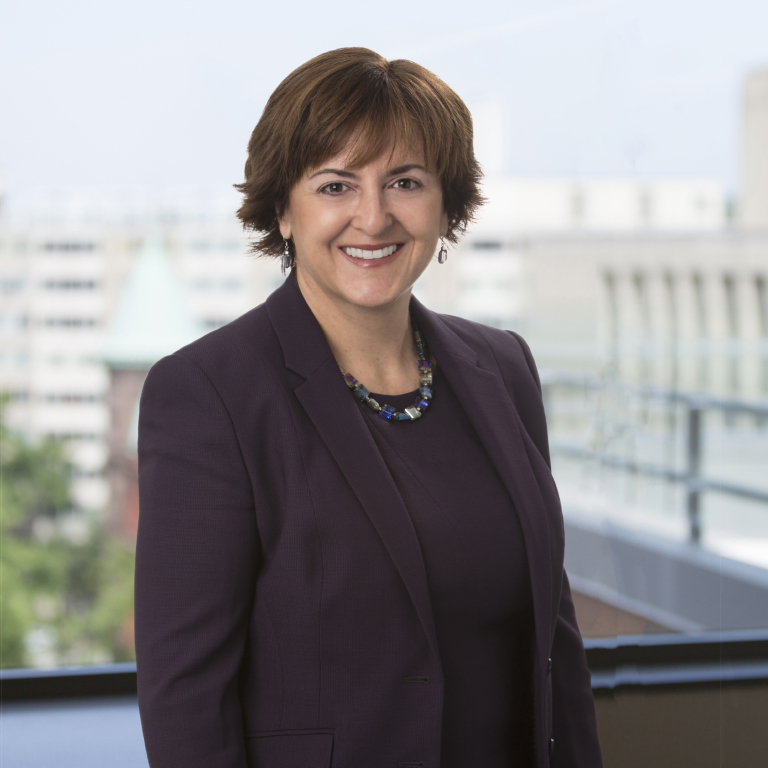 As the former co-chair of Steptoe's Women's Forum, she organized a variety of programs to cultivate the unique perspectives of the firm's women lawyers and professionals. Successfully defeated class certification of claims brought against a major petrochemical company by more than 450 property owners claiming that the detection of termiticide chemicals in potable wells and soil diminished their property values. The denial of class certification followed several other favorable rulings, including dismissal of claims asserted under Florida’s Water Quality Assurance Act, denial of plaintiffs’ motion to pursue punitive damages, and plaintiffs’ voluntary dismissal of their medical monitoring claims. Representing the Chief Executive Officer of a leading data analytics company in connection with an audit committee investigation of accounting practices, and now defending him in subsequent series of securities class actions and shareholder derivative suits. Represented a major southeastern utility in a series of disputes with a qualifying facility alleging violations of the Public Utility Regulatory Policy Act (PURPA), breaches of contract and violations of the duty of good faith and fair dealing. In the most recent dispute, obtained a favorable, precedent-setting ruling holding that the primary jurisdiction stay entered by the district court at the utility’s request to permit ruling by the Federal Energy Regulatory Commission was consistent with PURPA. Occidental Chemical Corp. v. Louisiana Public Service Commission, 810 F.3d 299 (5th 2016). This ruling eliminated potential disruption to the utility’s operations in a regional transmission organization. Won the largest US Department of Justice (DOJ) Antitrust Division investigation in the electric power industry in the last 10 years. After more than two years of investigation and review of millions of documents, the DOJ readied to bring a landmark monopolization case challenging our client utility’s generation procurement and transmission planning practices, and threatening divestiture. While preparing for litigation, successfully convinced the DOJ to issue a “no action” determination, permitting the proposed acquisitions to proceed. Defended a high-profile individual in class actions and related government investigations arising from alleged use of inside information in the online fantasy sports industry. Defended marketing company against putative class claims under the Telephone Communications Privacy Act (TCPA) in one of the first cases involving an offer of judgment post Campbell-Ewald. Successfully defended manufacturer of online video streaming technology against claims alleging theft of trade secrets. Defended communications equipment manufacturer against whistleblower and wrongful termination claims brought by former senior executive; defense involved depositions of senior management and prominent members of the Board of Directors. Served as national coordinating counsel for major wireless carrier in several class actions alleging diminished value and other economic injuries as a result of alleged product defects involving complex preemption and jurisdictional issues. Successfully defended major chemical manufacturer in a series of putative class actions involving alleged groundwater contamination based on claims including public nuisance and seeking damages for alleged diminished property value and medical monitoring relief. The first case, in West Virginia state court, was resolved in a novel settlement that involved further study of alleged health effects by a panel of scientists. Defeated class certification, in whole or in part, in subsequent federal cases. Rhodes v. E.I. DuPont de Nemours, 253 F.R.D. 365, 374 (S.D. W.Va. 2008) (denying certification of medical monitoring and property damage claims); Rowe v. E.I. DuPont de Nemours, 2008 WL 5412912 (D.N.J.) (denying certification of medical monitoring claims). Obtained summary judgment on behalf of Fortune 50 Company resulting in dismissal from multidistrict litigation proceedings involving thousands of claims brought by a proposed class seeking medical monitoring and individuals asserting personal injury claims. In re Welding Fume Product Liability Litig., 2007 WL 1087605 (N.D. Ohio). Will Blood Testing Revive Medical Monitoring Claims? Pipeline Accidents: Are You Prepared?